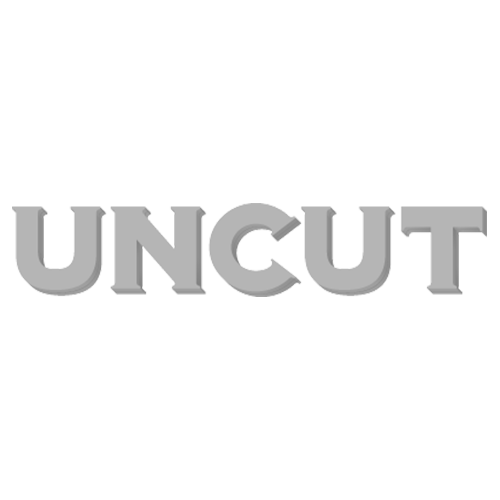 As is the brutal way with deadlines on monthly magazines, yesterday afternoon I had to send out a request to all of Uncut's writers for their albums of the year lists, so that we can start the long and meticulous process of compiling a Best Of 2014 chart. As is the brutal way with deadlines on monthly magazines, yesterday afternoon I had to send out a request to all of Uncut’s writers for their albums of the year lists, so that we can start the long and meticulous process of compiling a Best Of 2014 chart. I must admit, I’ve not much of a clue how my own Top 20 is going to shape up at the moment. But one record that will probably feature in there, and one that I’ve been playing an increasing amount over the past few weeks, is Frazey Ford’s “Indian Ocean”. Ford, to be honest, is not someone whose work I’m overly familiar with, either as part of the Be Good Tanyas or solo; hopefully, that’ll change once I get over the obsessive phase with “Indian Ocean”. Saddling her with a genre, I’ve always assumed Ford was a folk singer, but this second solo album puts her deep into a country-soul place, a world of vintage vinyl, elevated playlists and Light In The Attic comps, and one squatted by Cat Power on “The Greatest”. The comparison with that 2006 album is quite specific, since Ford, like Chan Marshall, is a singer embedding herself at the heart of a Southern soul powerhouse, with a bunch of the quicksilver artisans who worked at Memphis’ Hi Records with Al Green and Willie Mitchell in the 1970s. “September Fields” is full of lovely and powerful songs, but it’s the extraordinarily rich, resonant sound of the album that’s most striking at first, even as The Hi Rhythm Section – Charles Hodges (organ), Leroy Hodges (bass) and the late Teenie Hodges (guitar) – work with such empathetic subtlety. “You’re Not Free” is a great example of the potency of the hook-up, recorded in part at Memphis’ Royal Studios. It’s a showstopping ballad that moves with languid grace, where the controlled stabs of the horn section do the heavy emotional lifting while Ford and the Hodges clan operate in flecks and small details. Ford’s voice is a wonder, scrunching and chewing up words into airy new shapes that are not always clear, but which have an emotional intensity that’s gestural more than emphatic. Teenie Hodges, meanwhile, epitomises the rhythm section’s craft. After about three minutes, he steps up to take a kind of bluesy solo that mostly consists of nonchalant space; that becomes most ornate just as Ford and John Raham, her co-producer, fade the track. It’s hard to imagine a better monument to the guitarist’s restrained genius. The album is dedicated to his memory. “You’re Not Free” sits in the middle of an astounding 2-3-4 -5 run that also includes “Runnin'”, “Done” and “Three Golden Trees”. “Done” begins as if Ford accidentally rewrote “Hotel California” in her sleep, and continues with a series of break-up put-downs whose ferocity is only amplified by the indolence of their delivery. “Indian Ocean”, though, is one of those seamlessly-realised projects where it seems churlish to pick specific songs out for scrutiny. It’s an album where fraught epiphanies ride on the most effortless grooves; a precise recreation of historical settings, given a new spin by the character of Ford’s voice and the quality of her songs (“September Fields” still holds up strongly when it is reprised, in solo acoustic form, at the album’s death). Anyhow, I’ve added a couple of tracks for you to check out; let me know, as ever, what you think. In the meantime, an artless reminder that we have a couple of mags on sale right now: the current issue of Uncut featuring Pink Floyd, Leonard Cohen, New Order, Fleetwood Mac, Kate Bush and so on, and the Elvis Costello Ultimate Music Guide. Let me know, of course, what you think of those, too: uncut_feedback@timeinc.com.